Once a website has been optimized for search engines you might think it’d stay optimized, but that’s only true if the website never gets updated. 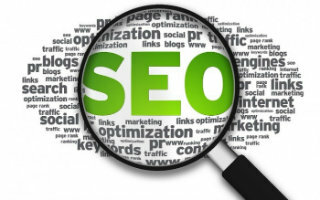 In this post we continue our What is SEO? blog series in which we’re explaining all the aspects of SEO, so that when you’re comparing SEO services (or doing your own SEO) you can make an informed decision about what you want your SEO service to include. One of the worst things that can happen to a website is… nothing. We’ve all come across websites that still prominently display “upcoming” Christmas events in January and beyond. It shows an embarrassing lack of organization or lack of concern for website visitors. That’s why we recommend having people and processes in place to update your website at least once a week. The downside of this, however, is these regular updates may delete or edit out the on-page optimization that was done to improve search rankings. If the person making the website updates is the same person who optimized the website, it’s fairly easy for that person to make sure they don’t damage the optimization of the website. However, this is usually not the case. Usually, the person updating the website is not the person responsible for SEO and usually they have no idea what impact their updates will have. In this situation it’s important for the SEO to check monitor changes. There are several ways to monitor website changes. One low-tech solution is to require the SEO to make or approve all website changes. The downside of this approach is it’s time-consuming for the SEO and it prevents website changes from being made quickly. Another low-tech way to monitor website changes is for the SEO to regularly manually check each web page that has been optimized to see if it’s changed. But this method is also time-consuming and it’s prone to errors because it’s easy to miss small changes. The best way to monitor website changes is to use software or a service that regularly compares each optimized web page to a saved copy and notifies the SEO if changes have been made. Regardless of the method, though, the important thing is that monitoring is done. If you’re doing SEO in house, determine how you’re going to do this. If you’re hiring an SEO company, ask them if/how they are going to monitor your website to make sure the optimization doesn’t accidentally get deleted during routine website updates. Many people don’t realize the importance of monitoring, and as a result many organizations end up doing a one-time optimization of their website, and within a a few months all that optimization has been edited out and they’re back in the same place they were before the initial optimization. Are you currently monitoring your website for changes that might hurt your search rankings? Why or why not?